If you notice a foul smell in you or your child's ear, it could be a sign of an ear infection. Other symptoms include ear pain, ear discharge and a feeling of fullness in the ear, MedlinePlus reports. If you do develop an ear infection, antibiotics can be used to treat. You can also clean your ears to help remove the bacteria overgrowth and wax that may cause you ears to develop a noticeable odor. Visit your doctor to be evaluated to see if an ear infection is causing your ear to smell. The bacteria overgrowth caused by an ear infection can cause a foul odor. Take any antibiotics prescribed by your doctor to clear up the ear infection. It is important to take all the prescribed medication, even if you begin feeling better after a few days, MedlinePlus reports. Place a few drops of mineral oil, baby oil or commercial ear drops in a medicine dropper to use to clean the ear. Allow the liquid to read room temperature before using it. Drop a few drops of the oil or ear drops in the ear that has a foul odor. Keep your head tilted to the side for a few moments before placing it upright again so the fluid has a chance to work its way into the ear to help clean it out. Wipe excess fluid from the ear once your head is upright. 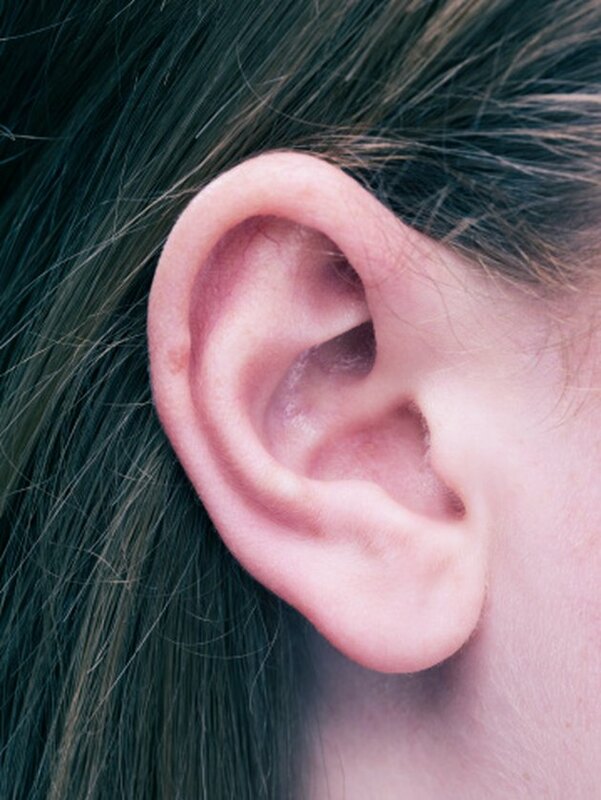 Repeat the ear-cleaning process to keep your ears clean or remove wax buildup if one develops. Ear wax is a normal occurrence and serves a useful purpose. It traps bacteria, dust and microorganisms and helps keep the ear clean and healthy, MedlinePlus reports. Do not use cotton swabs or other pointed objects to clean your ears because you could inadvertently damage or rupture your ear drum, the Cleveland Clinic reports.